I am exhausted! 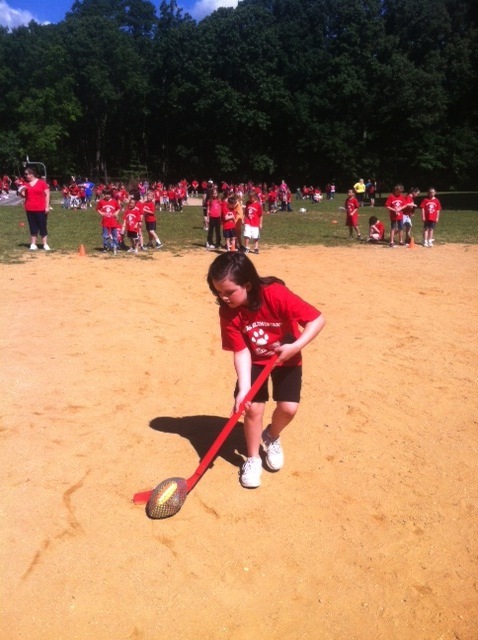 This morning they held “field days” at my daughters school. She has never asked me to volunteer for any of these things in the past so when she did this year I made sure to be there. A friend and I ran the “Irish Potato Race” together. The kids used a hockey stick to push a nerf football. As soon as I saw it I knew we would have an interesting morning. Shockingly, no one was hit by a stick. We met many very nice kids and many orderly classes. We also ran across the “others” we will call them. It was something. I am glad I could be there for Meg! Yesterday I had my appointment with the surgeon. For the most part it went well. Funny I first met him 18 years ago for my first biopsy…I told him I have been with him longer than my husband. He seems very optimistic about my recovery/rehab since to date I show no signs of cancer so they will not have any reason to go near the lymph nods. We will keep our fingers crossed. It does seem that my blood pressure is up. I have never had any issue with blood pressure. He says it is a bit of a concern but should not affect the surgery. He says I need to relax, cut out things causing stress, get back on my exercise routine and hey while I am at it if I wanted to drop a few pounds before the surgery feel free. I will get right on all of that! I signed off on the consent form and was on my way. Next time we meet I will be on the table I guess.